Start with this: You must play the long game. This article is excerpted from Entrepreneur magazine editor in chief Jason Feifer's monthly newsletter, The Feifer Five. Each month, he sends out five insights to help you think more entrepreneurially. Subscribe here. How can we as entrepreneurs be smarter? By attending to every part of our lives. This month, let's look at five ways -- from the practical to the strategic to the mental. 1. Why the long game is the only game. 2. The key to effective emailing. 3. My secret to public speaking. 4. How to provide the right value to customers. 1. Play the long game. People always ask me what the most successful entrepreneurs have in common. Here’s one: They play the long game. They know that success doesn’t happen in one big burst; it happens in small increments, a slow build to greatness. They have the patience to see it through -- to put something in motion and then build it, nurture it, evolve it, expecting that this is only the first step in a process they cannot fully envision. They know that the only thing they can control is their forward momentum. Want to see how that plays out in extreme? 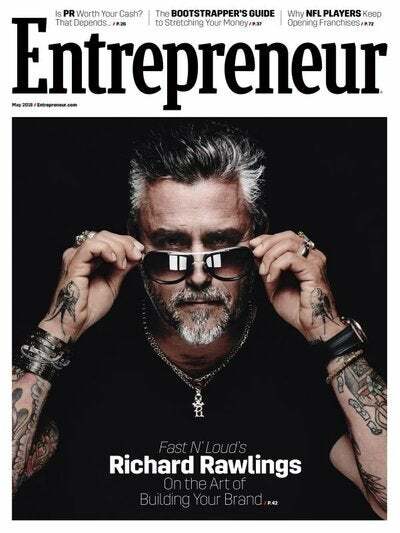 Check out our May cover on Richard Rawlings, star of a show called Fast ‘N Loud. He sold a printing press so he could invest the money in opening an auto garage -- with the plan of building it up, turning himself into a character, then turning it all into a TV show. That took eight years. Eight years of pitching the Discovery Channel, of staying focused on the long-term vision. And the TV show wasn’t even his end game: He saw it as a way to launch a broader brand, which now includes restaurants, a concert venue and more. Imagine if Richard had settled for the printing press. Or given up after one year of pitching -- or three, or five or seven! I’m telling you: The long game is the only game. Everything else is a distraction. 2. The simplest, fastest way to show someone you're serious. That's the median length of time it takes for people to respond to business emails, according to Polymail. When people email you, they've been conditioned to expect at least this amount of waiting—or, potentially, a far longer wait. Or no response at all. Now imagine what happens when someone emails me, say, a compliment (or complaint!) about something with the magazine, or an offer to speak at their event. Those are two important categories for me: customer service and new business. I want these people to know I take their inquiry seriously. I also know they're expecting a wait -- at least 1.87 hours. So if I have the time, I drop what I'm doing and shoot back a reply within minutes -- and their response is always the same: "Thanks for the quick reply!" They know I care. Now we're working. 1.87 hours. That's the clock you're racing against. Reply in less time, and you're impressing someone. Reply in more, and they're waiting for you. 3. How to speak publicly without memorizing a thing. I've been doing a lot of speaking lately, and I've never written a talk or memorized a line. How? I call it the Theory of Interlocking Parts. In short: You need to build a menu in your head of five-minute bits, which you hone while in regular conversations, and then you just string them together in a different order depending on the audience you're speaking to. Want to know more? Here's a little video I made on LinkedIn to explain it. 4. Ask yourself: "How valuable am I to my customer?" Every customer relationship is a balance: How much value do we have to provide in order to receive payment, repeat usage or, depending on our business, a tolerance for the ads we're displaying? Pandora just ran a fascinating study to test this question. It experimented with whether more ads drive its users to become subscribers, and how that impacts company revenue. To do this, the company divided 35 million users into nine groups, and served them different numbers of ads. After nearly two years, the results were clearly quantifiable. For every additional ad per hour that a user was served, their average listening time would decrease 2 percent and the number of days they listened would decrease 1.9 percent. Users who were served more ads were more likely to convert to Pandora’s ad-free subscription service, which costs $4.99 per month. ... In the experiment, the odds of someone signing up for a subscription increased by 0.14 percent for each additional ad served per hour. But those conversions came at a cost: For each user that become a subscriber, three others stopped using Pandora. The study notes that the subscription revenue earned by converting users to subscriptions is “considerably smaller” than the revenue Pandora would have earned through advertising to the users who decreased their listening or left the service. This is just one company in one marketplace, and might not be relevant to your business. But remember this: Like Pandora, you can and should always be testing the balance. Are you providing the right value that earns your customers' business? Don't just assume the answer is yes. 5. How do you "have it all"? The answer: You don't. Stop it right there. 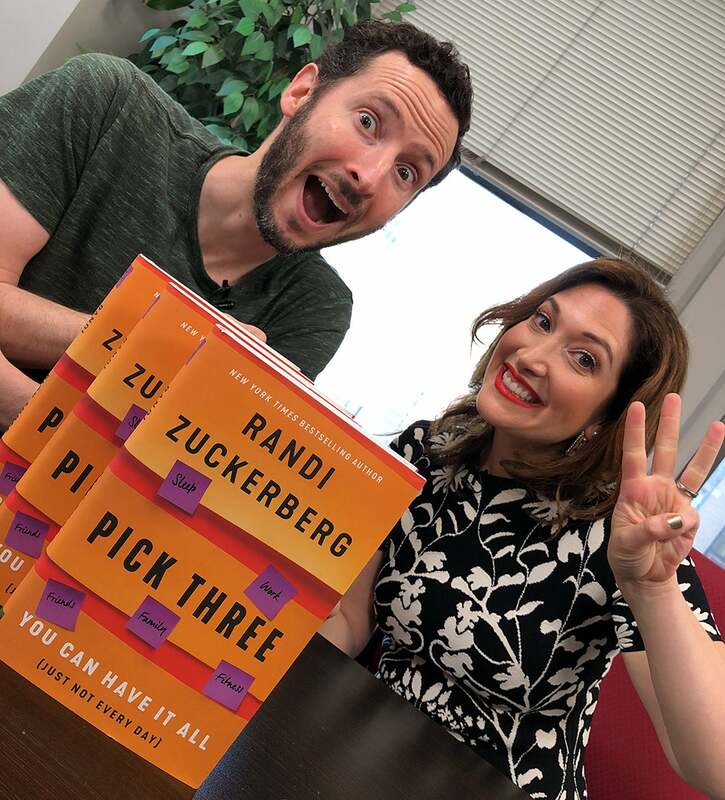 I just had a conversation with entrepreneur and author Randi Zuckerberg about this, and I find her message very compelling. Here's a summary: There are five things we need -- work, family, friends, sleep, fitness -- and it's not possible to do them all every day, or maybe even every week. If you try to do them all, you'll fail at them all. Instead, pick three at a time. Maybe one day is for work, family and sleep. Another day is for work, friends and fitness. And maybe (imagine this!) there's a day without work at all, and it's for sleep, family and friends. Whatever your mix is, be satisfied with the three you picked, and reshuffle them as needed tomorrow. We have to focus on what's manageable, not what's impossible. We had a chat about this on Facebook Live, which you can watch. And here's her book on the subject. That's it for this edition of The Feifer Five! I'll leave you with this parting thought, from my most recent column for the magazine: We often talk about owning our failures, but don't forget to own your successes, too. It's just as important. Enjoy this newsletter? Don't forget to subscribe!